Encompassing 39 municipalities in two states, Puebla-Tlaxcala is the fourth-largest metropolitan zone in Mexico. Over the past five decades, the region has successfully attracted major national and international firms, building its reputation as both a manufacturing hub specialising in auto production and one of Mexico’s most important centres of higher education. Yet it also faces important challenges. Compared to other large Mexican metropolitan zones, Puebla-Tlaxcala has a disproportionate share of individuals with low skills, which could represent a bottleneck to future growth. Urban sprawl is another challenge with important economic, environmental and social consequences. 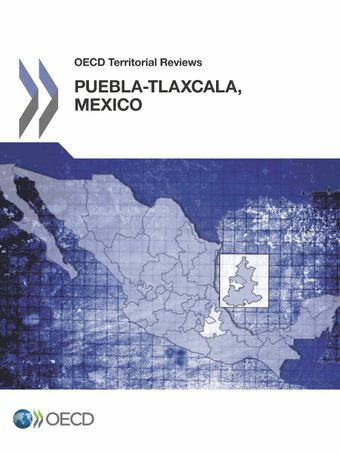 Puebla-Tlaxcala's urban footprint expanded nearly eight times faster than its population over the past three decades, contributing to inadequate service provision and high levels of social marginalisation, particularly in the metropolitan periphery. To ensure that the region remains competitive and grows sustainably over the long term, this review recommends (i) improving workforce and economic development outcomes, particularly by raising the level of low-skilled workers; (ii) guiding urban growth more effectively to tackle urban sprawl and improve serve delivery; (iii) and addressing governance challenges by building capacity in the public sector and transitioning to forms of metropolitan governance. For more information about urban policy at the OECD please visit www.oecd.org/regional/regional-policy/urbandevelopment.htm.